Is anyone else crazy for sesame right now? The combination of broccoli and sesame oil is just divine. 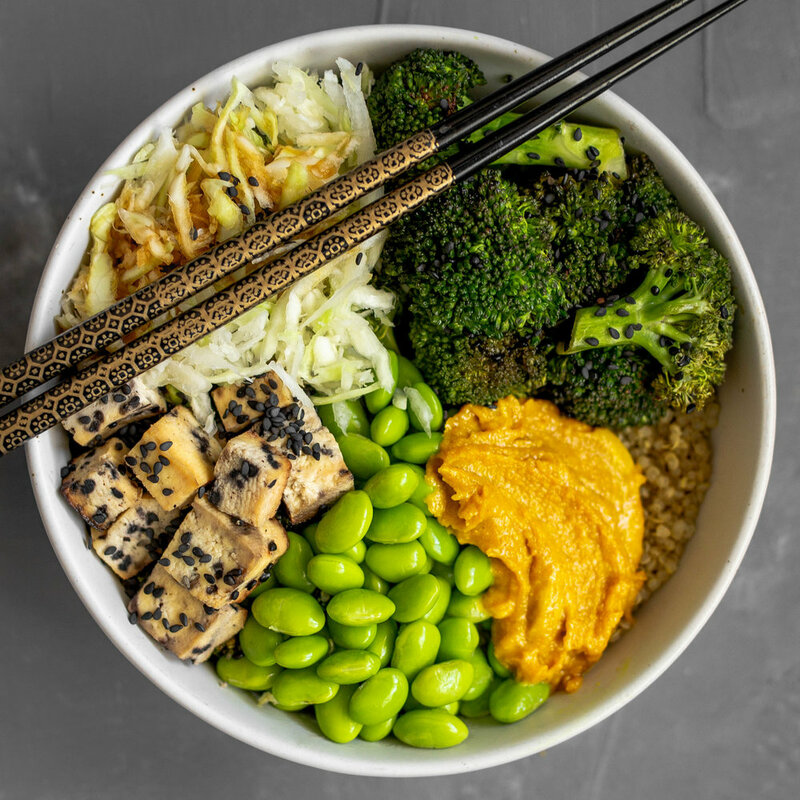 Here's a fulfilling vegan buddha bowl packed with greens, plant-based protein, and of course flavour! Ps. on mine and Sams first date we got sushi and he had no idea how to use chopsticks so whenever we use them now I still tease him about it. In a small pot, bring 1 cup of water to a boil. Now you can prep your bowl!